Rockford Speedway's CEO Jody Deery proudly displays the Whelen checker flag over NASCAR Champion Alex Papini, # 39 Machesney Park, IL. 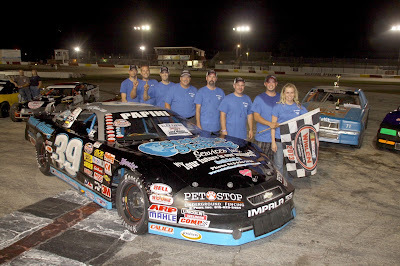 Rockford Speedway's 2013 NASCAR Stanley Steemer Late Model Champion Alex Papini # 39 Machesney Park, IL. 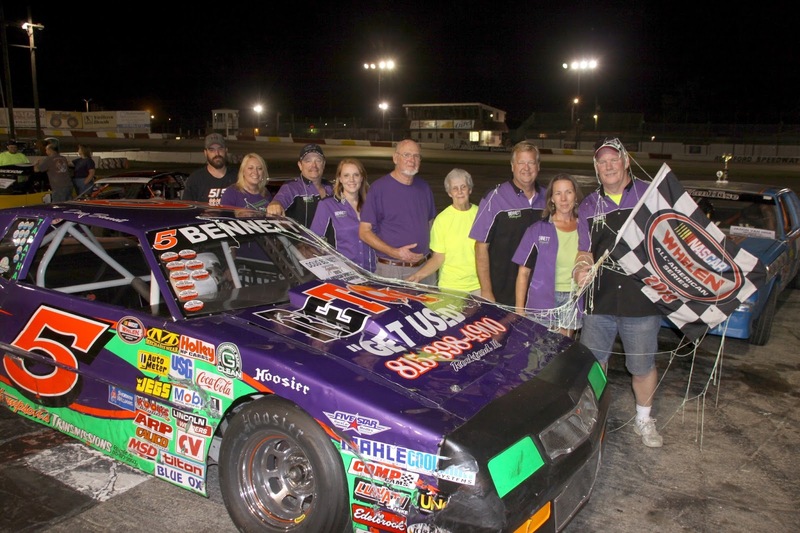 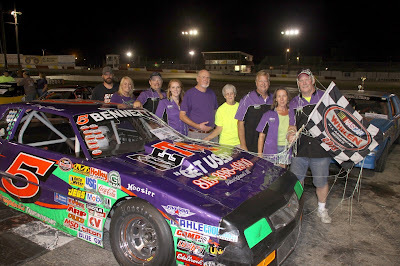 Rockford Speedway's 2013 NASCAR Bargain Hunters Sportsman Champion Doug Bennett # 5 Brodhead, WI. 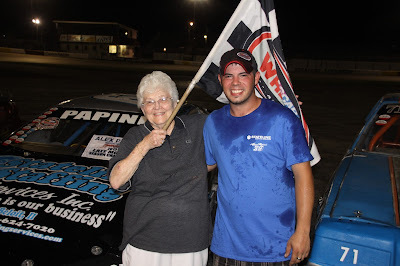 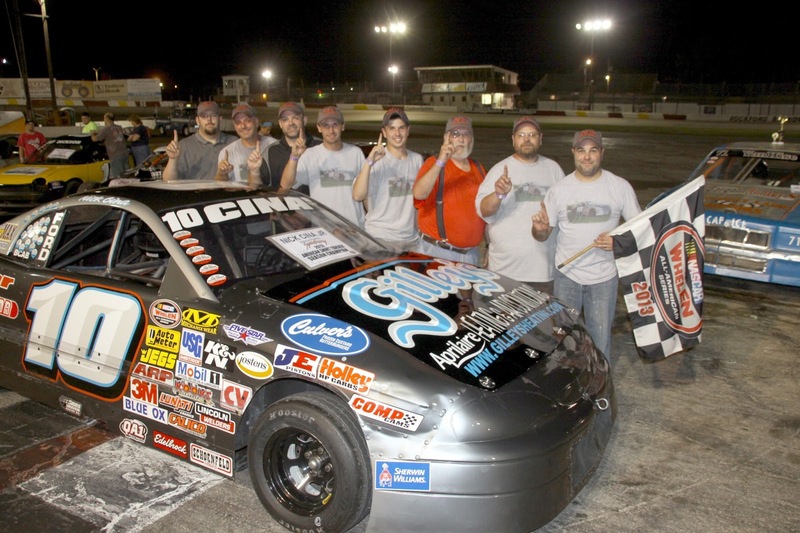 Rockford Speedway's 2013 NASCAR Miller Lite American Short Trackers Champion Nick Cina, Jr. Belvidere, IL. 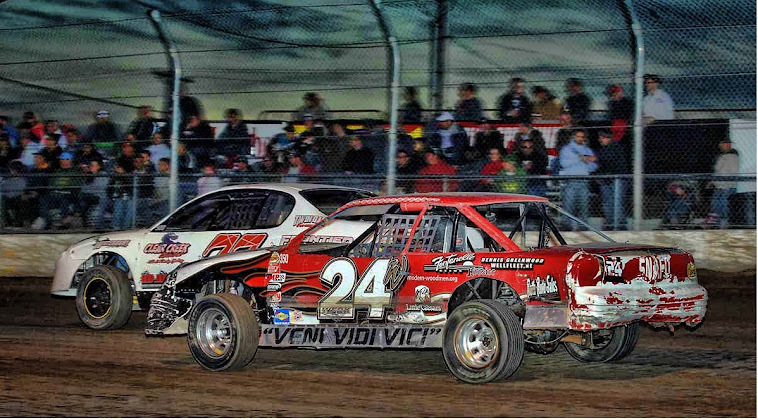 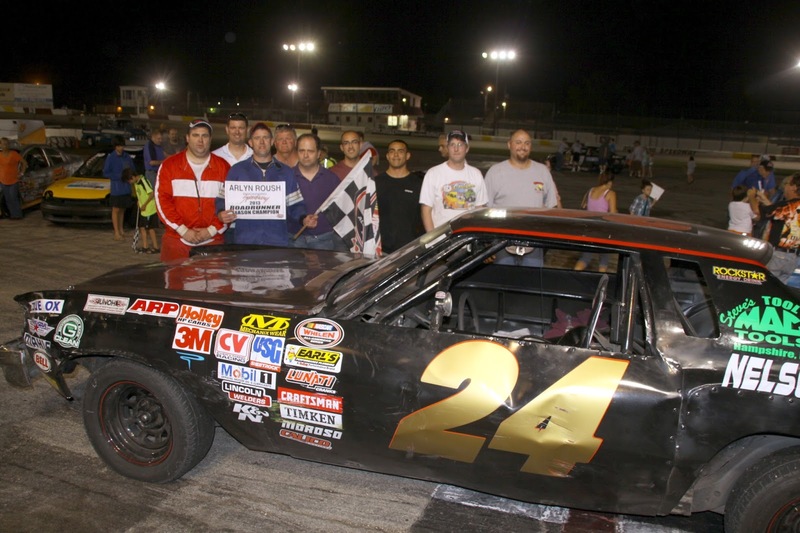 Rockford Speedway's 2013 NASCAR Rockstar RoadRunner Champion Arlyn Roush # 24 Woodstock, IL. Rockford Speedway's 2013 NASCAR Stanley Steemer Late Model Rookie of the Year Joel Clossey # 16 Beloit, WI. 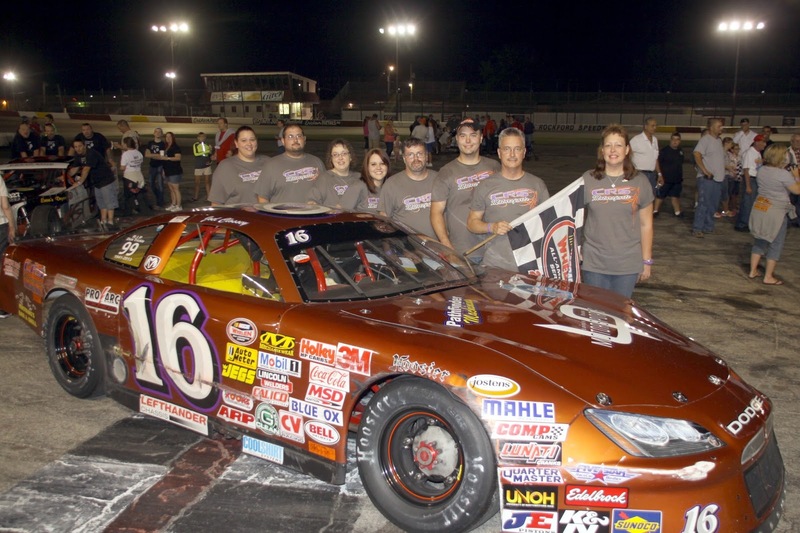 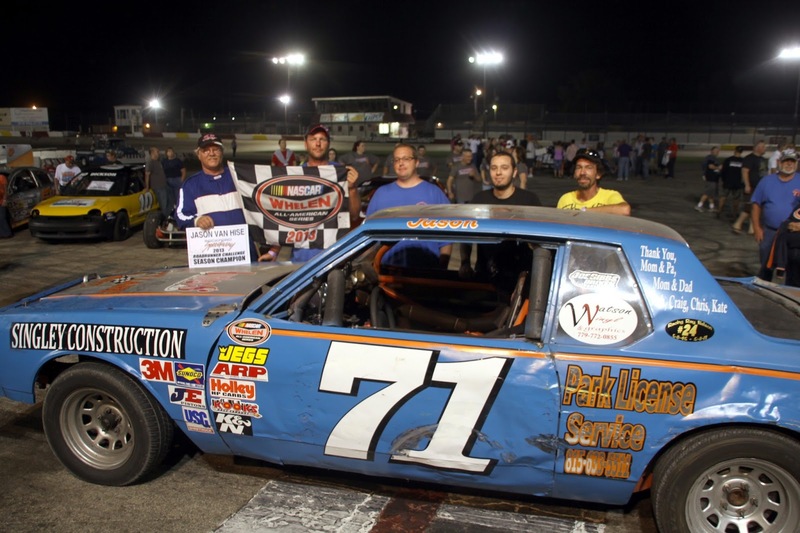 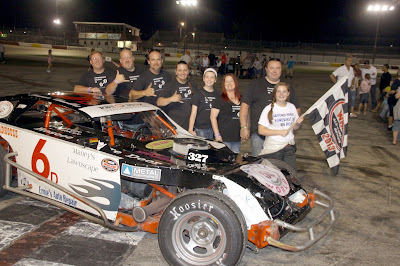 Rockford Speedway's 2013 NASCAR Bargain Hunters Sportsman Rookie of the Year Deanna Chandler # 6D Machesney Park, IL.